Good afternoon my Little Peaches!!! Why am I calling you that? Cause I love you & think you’re sweet, the same way I feel about peaches, of course!!! This week I decided to do something a little different with the blog and answer some questions. Some of you amazing people submitted questions and I have answered them in my own little way! I have decided to post the questions in two parts for a couple of reasons. One, because I am so very long-winded and the blog was getting going super long, and two, because I am going to switch my post day to Mondays from here on out. With the podcast coming out on Fridays it was getting to be a bit much doing both the same day. So, on Monday, you will get part two! The question is posted in bold and the answer is just in plain ol’ text. 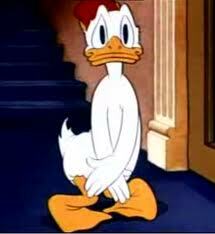 If Donald Duck never wore pants then why did he need a towel when he got out of the shower? Donald Duck is certainly not known for his modesty. I mean, as you said, he marches around proudly without benefit of pants on a daily basis. Frankly, I have yet to detect so much as a trace of shame on his bill. So, why the sudden modesty after he showers? Well, I can really think of only one reason. Perhaps when his feathers are dry, they are fluffy enough to cover his… How to put this delicately? Boy parts. Though it may seem coarse to discuss a beloved cartoon character in such terms, we have to face reality. He is a boy, therefore, he must possess the necessary equipment somewhere. I propose that “somewhere” is underneath his fluffy nether feathers. When Donald steps out of the shower, his nether feathers are decidedly un-fluffy, as they are soaking wet. Were he not to use the towel, his audience would be treated to a decidedly un-family friendly display of manhood, and nobody wants that. What is the funniest movie of all time? Discuss. Oh man… This is a minefield of a question. I know, it seems perfectly innocent and fun, and really it is, but I also feel like I could end up revealing myself for the ginormous cheese-ball I am. My taste in movies is not what one would call “refined.” Not by any stretch… The movies I find funny are, for the most part, embarrassingly dumb. There are recent comedies that I’m not ashamed of, like Forgetting Sarah Marshall (this is my current favorite), 40 Year Old Virgin, Superbad, Bridesmaids, The Hammer, Role Models, The Hangover, Tropic Thunder, & I Love You Man. However, I feel like to answer this question properly I need to span the course of my lifetime and choose the movie that warped my fragile psyche the most growing up and thus the my entire comedic sensibility. I don’t know if I can choose just one!!! Really, I don’t. So, I will submit to you, my amazing friends/readers, a list my all-time favorites from my younger years, combine them all together, and that will be the funniest movie of all time. Thus, the title of this movie is: Twatbratab. That is the funniest movie of all time. Are you a native to the state if not what brought you to the state? As a matter of fact, I am 100% Wyoming born and bred… Ew!!! Forget that bred part, I thought about that a little and it was gross. Why do people say that??? 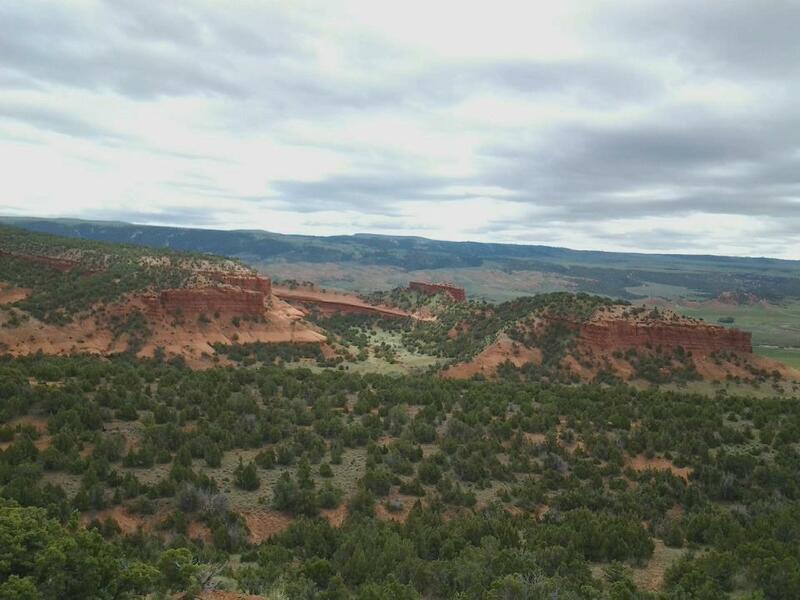 Anyway, I was born and raised in Ten Sleep, which had 311 people in it the entire time I was growing up, and now I live 20 minutes from there in the big city, Worland, that has about 5000… Oh, don’t go thinking I haven’t lived out all of my city dreams… I also lived in Laramie for about 5 years and not only did that have 20,000 people in it, but it also had a Walmart!!! I will say this, I love Ten Sleep more than words can say. That place is just so special… If you ever get a chance, it is a MUST to go there (I recommend during Nowoodstock, our annual music festival). Well, that’s all for today. I hope you enjoyed the questions because I thought it was SUPER fun!!! Let me know if you like this little question thing and we’ll do it again sometime!!! Stay tuned for Monday, I may or may not be answering a question about MAGIC MIKE!!! Woooooo!!! Have a wonderful week, and may the towels of your life ever hide your shame!!! What’s the wrong kind of loophole? What are internal jazz hands? What does it sound like when Mandy gets slapped in the face? Why would I need to know Matt Lauer’s cup size? These are the questions you’ll be asking yourself if you don’t tune in to this week’s episode of The Firnecast… So do that!!! Hi my dear, sweet, beautiful friends!!! I would LOVE to do something a little bit different with the blog this week, but I NEED YOUR HELP!!! Sorry, am I being too dramatic??? I have a tendency to overdo it sometimes… Anyway, I would love to take some questions for this week’s blog and answer them in my own special way!!! But I can’t do it unless you submit them! Advice questions, questions about the blog, the podcast, something random that popped into your head, stuff you don’t think I could possibly have an opinion about, ANYTHING!!! It’ll be super fun, I think!!! You can submit them at my e-mail, mfirnekas@gmail.com or if you want to remain anonymous, you can just leave them as a comment below and submit it as Anonymous. Fair warning: I may or may not be making up fun aliases for everyone who submits a question. I hope you all get a kick out of this, I’m excited!!! Unless nobody asks anything, and then I’m sad. Lots of love to you my beautiful angel friends!